Plus 1pt e.w. treble at the above prices. These are all best odds guaranteed races so if they start at bigger prices we are on at SP. 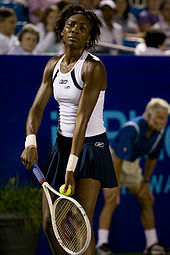 I am sure you are all aware that the last time Venus Williams played an official match it was in the US Open. Minutes before she was due to play her second-round match she withdrew from the tournament due to an autoimmune disease with which she had recently been diagnosed. She returned to the court this week to play an exhibition match against Serena. The form will tell us little but she did beat her younger sister 6-4 7-6. She has given a commitment to play a full season in 2012 starting with Auckland in January (after playing only 11 matches in 2011). Not surprisingly she has dropped to No. 104 in the world. Can she, like some before her (Seles, Henin, Clijsters) make a successful comeback? Could she win another grand slam? She will play an exhibition doubles with Serena against Schiavone/Pennetta this weekend so this may give us another clue to her well being. Certainly age is not on her side and she could easily be drawn against, say, Kvitova in the first round of the Australian Open. Nevertheless I have had 1pt win @ 50.0 Venus Williams with Unibet for Australian Open. She has never won the Australian (or the French for that matter). All her GS wins have come at Wimbledon (5) and the US Open (2). She's not won the latter for a decade but the last of her SW19 wins came in 2008. One bet that's not looking so good is Liverpool for Premiership top four. We took a rather skinny looking 11/10 and even after two good performances in beating Chelsea and then drawing with Man City they are available at 13/8 today. Their fixtures in the run up to Xmas look reasonable so hopefully they can move up the table. Leaving aside the Manchester teams, we are looking at any two from Liverpool, Chelsea, Tottenham, Arsenal and possibly Newcastle to make the top four. Today I have had a very speculative 1pt win Newcastle @ 25/1 for Premiership top four with Ladbrokes. (Also available with Coral and Stan James). Berdych duly beat Ferrer tonight but not by the score I envisaged. However this means our three outright selections have reached the last four. We only have a small bet on Berdych - one point @ 29/1 - but importantly his presence in the last four means that Djoko is on his way home. In fact in my first post on this tournament I suggested we should avoid the world numbers one, two and three because of their busy seasons and recent injury concerns. Incredibly none has reached the semi-finals. I have just placed 1.5pts @ 16/1 Ferrer with Ladbrokes. Obviously a Ferrer tournament win now returns 25.5pts for an overall eight point profit on the tournament. (Those of you with Sportingbet accounts can get 18/1 Ferrer however I do not bet with that company). Federer 30.5pts; Tsonga 25.5pts; Berdych 12.5pts and Ferrer 8pts. Enjoy the semis and the final. Let's hope for that Paris repeat - Federer v Tsonga final! Good news from O2 last night as Tsonga defeated Nadal to progress to the semi-final alongside Federer. We still have a chance of all three of our players making the last four. Berdych plays Ferrer this evening and will go through to the semis if he wins in straight sets. He can also go through if he wins in three but that will depend on the outcome between the two Serbs this afternoon. I would have gone skint a long time ago if I'd always backed players or teams that "needed to win" against those that didn't. However if Berdych was to win the first set against Ferrer tonight (an even money chance) there is the possibility that Ferrer might then take his foot of the gas with Saturday's semi in mind and a certain place therein. For these reasons I have had 3pts win @ 5/2 Berdych to beat Ferrer 2-0 sets with William Hill. (Sportingbet has a slightly higher price of 3.6 if you are able to get that). Once the final four is known late this evening I will look and see whether we need to place another outright bet to protect our 16pt investment in the outright market. I was impressed with the way Tsonga played today, particularly in the second set. This court is certainly very slow and you could argue it suits someone like Tsonga who has so much power to hit through his opponent. Good serving too with a 140 mph serve included. If he beats Nadal in his last match (11/8?) he should qualify for the semis. If he should qualify alongside Federer there would even be the chance of a repeat of the Paris indoor final and, of course, a repeat of the opening match here in London which Fed won 2-1. All that's a long way off but I have taken a further 1pt win Tsonga @ 12/1 to win the tournament with Paddy Power. Price available with several other firms. Our bet on Berdych to beat Mugray is of course void as the Scot has just retired from the tournament. Mugray looked in a bad way during his straight sets defeat by Ferrer. If he is to continue in the competition he will play Tomas Berdych Wednesday. The latter was beaten in a final set tie-break against Djoko last night. He held a match point during the match but could not convert. There is a possibility of course that Mugray could retire during his next match if he does not retire beforehand. The H2H is 4-1 Berdych who has won the last four encounters. His serve looked very poor against the Spaniard so I have had 8pts @ 11/10 Berdych to beat Mugray with Ladbrokes. It is important to have the bet with a bookmaker that requires one point of the match to be played for the result to stand. To my knowledge these bookmakers are Ladbrokes, Blue Square, 888 and Coral. Well I guess I underestimated Airdrie United's fire power. Went up to 8-0 correct score but incredibly they won 11-0. Glad it wasn't 9-0 that would have been worse. Elsewhere there was more hyping of Little Mix on xfactor. I note the producers even got David Walliams to declare that they are his favoured act. They are 3/1 second favourite as I write so we certainly have value punts at 14/1 each-way and 13/2. Federer starts the defence of his London crown this afternoon. The 3/1 and 5/2 has long gone and he is no better than 15/8 before a ball is struck in anger. The correct score double bet is already a loser as it is 1-1 after 20 minutes in the Partick game. This follows hot on the heals of New Leyf being caught on the line by Fallon to deny us a decent pick up last night at Kempton. Odds apply to both Airdrie United and Partick Thistle winning their respective matches by the scores shown. The bet is 16 x 0.25pts correct score doubles with Ladbrokes. Our 25/1 selection was on the premises a furlong out at Kempton yesterday but quickly dropped away. Two more selections today at Kempton as follows. I think it's possible that Gosforth Park could oblige under top weight at Southwell in the last. Won comfortably enough at the venue on 10 November and there has been some support today. We already have a nice little each-way bet on the xfactor girl band at 14/1. They continue to be well supported this week and are as low as 5/1 in some places. In the circumstances I think it is worth an additional 1pt win @ 13/2 Little Mix with 888.com (or Blue Sq). In what is increasingly looking like a poor year it is possible now that they could win. The early prices have just been released for the men's final event of the season. It's an interesting market not least because three of the major contenders, Djoko, Mugray and Nadal have been carrying various injuries. I would be particularly worried about the world No1 Djoko and would stay well clear of the 7/2 or shorter put up by the major firms. (5/2 is next best with Ladbrokes and W Hill if you cannot get this). 2 pts win Tsonga @ 14/1 with Stan James (also available with Bet365). 1 pt win Berdych @ 30.0 with Unibet. No horse racing bets today so I have taken an interest in tonight's friendly international. I like the look of Qubuh in the final race at Kempton tonight. I have had 3pts @ 13/2 with Stan James as I think the price could contract. The Italian economy is on the edge with the debts approaching the point where the debts are not sustainable. Who know what's going to happen but you have to think that they are very likely to receive a Euro/IMF bailout. If they don't then surely the economy would collapse and they could then exit the euro. First country to leave the euro: Italy 2pts @ 14/1 with Stan James ( 12/1 PP but only 7/2 WH). We have landed our 3/1 bet on Little Mix to be top group as the only other group still in the competition - The Risk - has been sent home tonight having finished bottom in the public vote. Our selection was given the "pimp" slot last night which clearly showed that the producers were intent on making them the favoured group. The outright price of 14/1 we took each-way is now around half that price. May not be winner material but a strong chance of finishing in the frame as the producers would probably like a group in the final three and further promotional assistance looks likely. Paul Hanagan has all but won the the jockeys' championship. As I write he is seven wins clear of S de Sousa with a couple of races to go at Wolverhampton this evening and then Friday and Saturday racing to close the season. He did us a big favour last year landing several bets up to 40/1. This year, as reigning champion, he was of course a much smaller price. However we have landed substantial wagers at 9/2 and 7/2 to increase significantly the 2011 profits. It means we are running at 10.92% profit in 2011 and an even more respectable 45.88% accumulatively since the blog bets service began in December 2009. We have won over 650 points in this time frame. Well Vinci was rubbish today so that's one of our outright bets gone. The other one plays tomorrow afternoon (12 noon our time). Ivanovic was fairly unimpressive in putting Vinci away (40% first serve success rate). I am going to take a chance and back the lump to beat the looker in the semi-final. I have had 4pts win Petrova to beat Ivanovic @ 6/4 with Stan James. Their H2H is very close. Some sites say Ivanovic 6-5 whereas betfair stats say Petrova 7-5. What's not in doubt is Petrova has won the last two meetings. Therefore 6/4 is fair value to down the defending champion. The Bali tournament starts around 9:30am tomorrow morning. Bartoli is a worthy favourite on current form but I have had a couple of speculative bets on players at double figures. First of all I have taken 12/1 Vinci who has had a terrific year. She plays Ivanovic in the first round and although the H2H is 4-2 in the Serb's favour, Vinci has won both matches that have been played in 2011. If she wins tomorrow she would play Petrova or Peng for a place in the final. I have had 1.5pts ew Vinci @ 12/1 (1/3 odds 1,2) with Ladbrokes (also available with SJ). In the top half of the draw I have gone for Hantuchova who plays Lisicki with whom she is 1-1. Lisicki beat DH in the Birmingham final (on grass of course) but the Slovakian is preferred back on a hard court. If she wins then she will probably meet Bartoli for a place in the final. Amazingly DH holds a 5-1 H2H with the French woman and that is another reason for taking a punt. I have had 2pts win Hantuchova @ 12.0 with Unibet. Andy Murray is on a terrific run having won three consecutive tournaments. However today he comes up against a player who has caused him problems in the past. The head to head with Robin Haase is 1-1 but in both matches Haase won the first set. Winning the first set and going on to lose is something that happens to Haase quite frequently. I think the bet today is 2pts win Haase to win first set against Murray @ 5/1 with 888.com (or Blue Square). 1.5pts ew Little Mix to win X-factor @ 14/1 with Paddy Power 1/5th odds 1,2,3. The two players we've backed for TGS are not doing brilliantly. I've therefore decided to add a third player to our portfolio. One could make a case for one of the Man City strikers as they are scoring so many goals. But which one? The current scores are Dzeko nine, Aguero nine and Balotelli five. I think the latter could close the gap if he's not red carded too often. Others in the shake up include Rooney (nine, short price) and Van Persie (ten, but never plays a full season because of injuries). I think Demba Ba could be thereabouts. He is now on eight (from seven starts) following a hat-trick for Newcastle last night. There was rather an amusing story going around about him. He (allegedly) refused a fan an autograph. I would have more sympathy if his name was Jan Johannes Vennegoor of Hesselink but when you've just got to write "Ba" then it's unforgivable. Anyway I have had 1.5pts ew Demba Ba @ 25/1 Prem TGS with Ladbrokes, 1/4 odds 1,2,3,4.